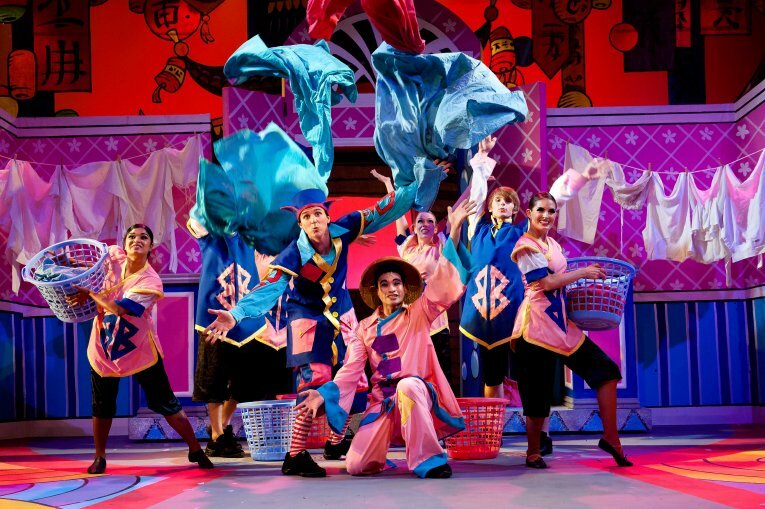 This fabulous family pantomime follows the popular tradition of such previous KickstArt family entertainments as ‘Jack and the Beanstalk’, ‘Robin Hood’, ‘Snow White and Cinderella’. 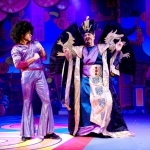 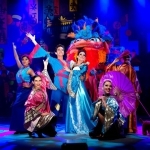 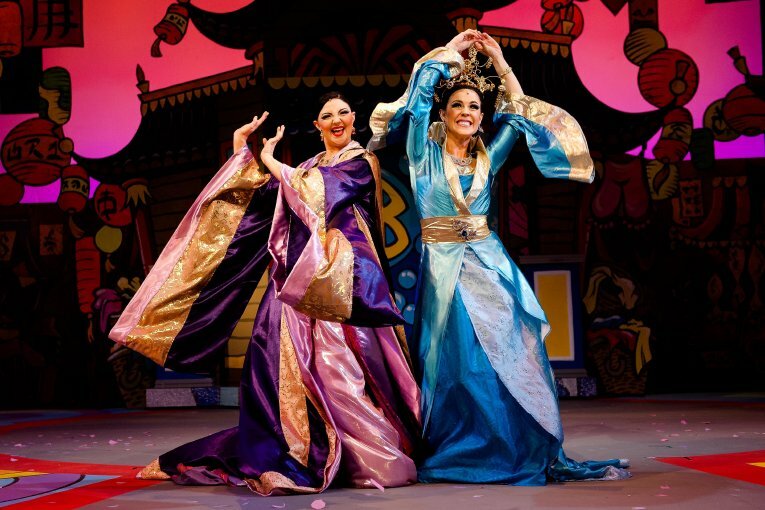 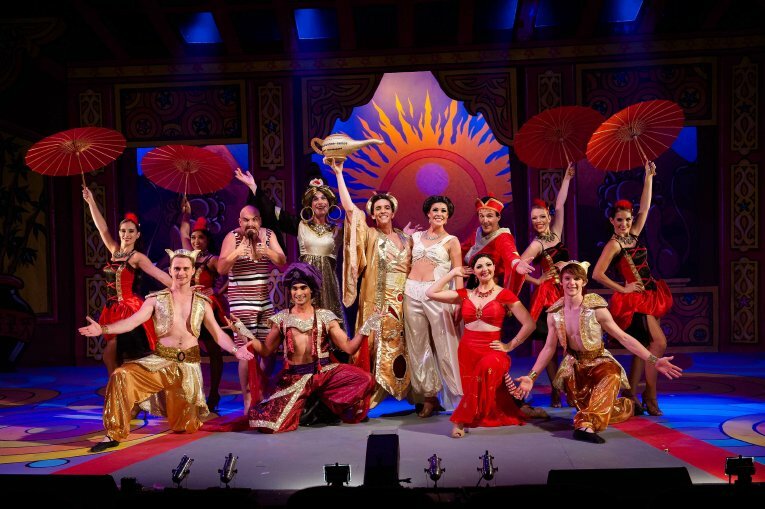 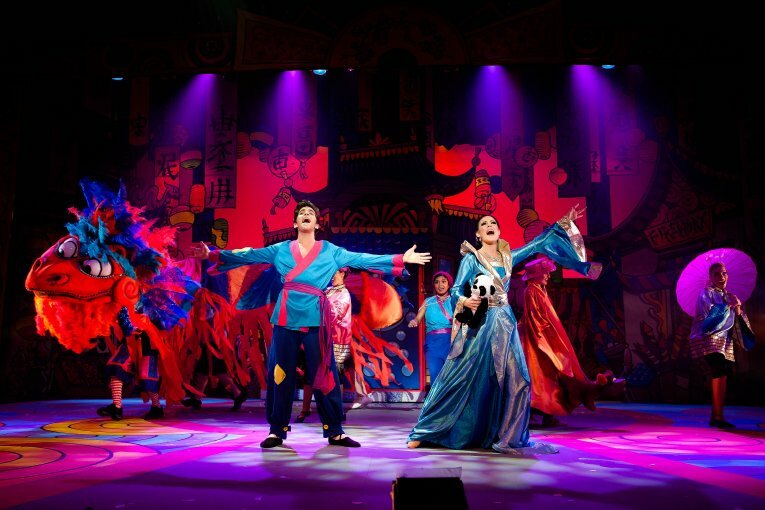 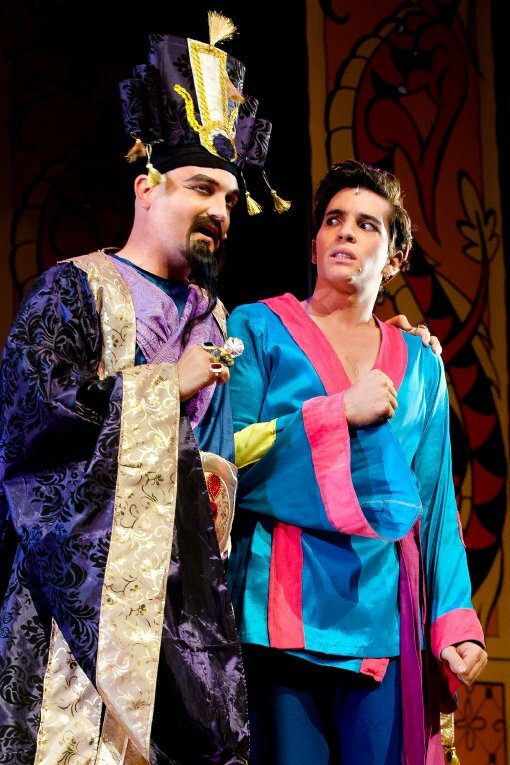 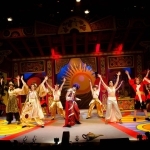 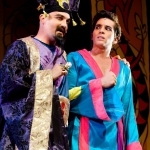 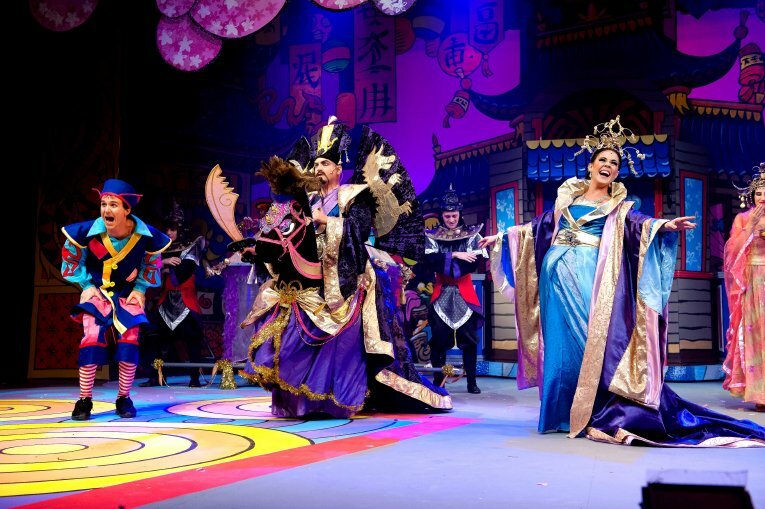 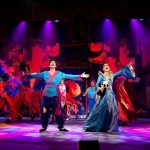 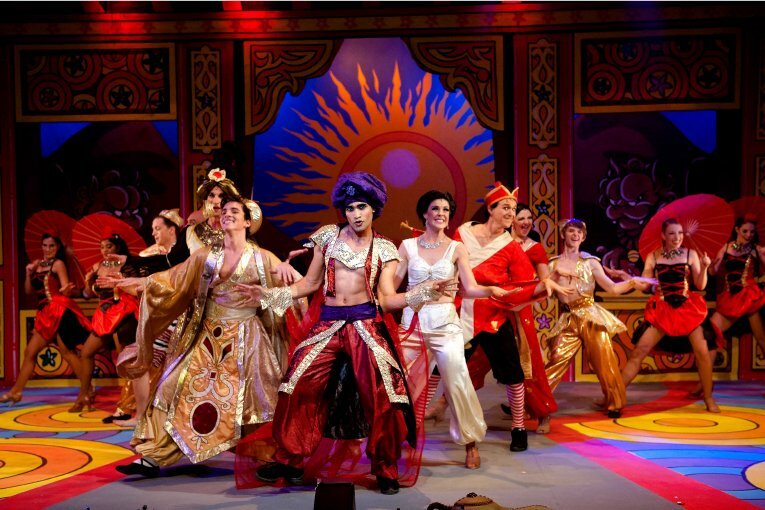 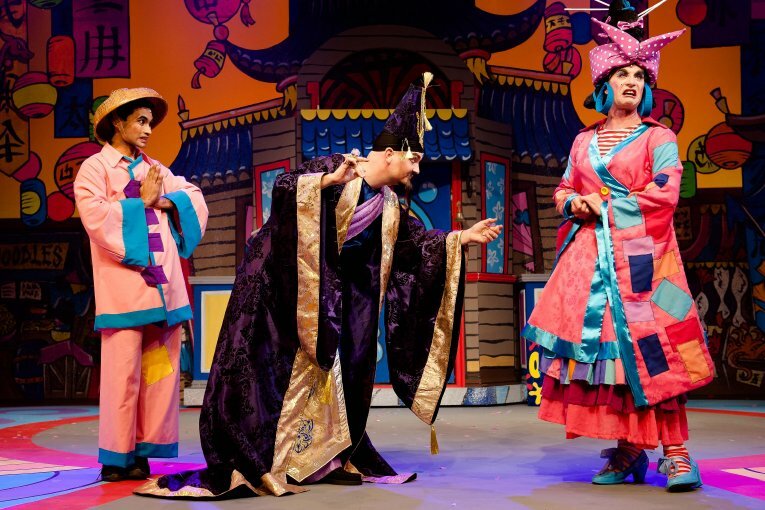 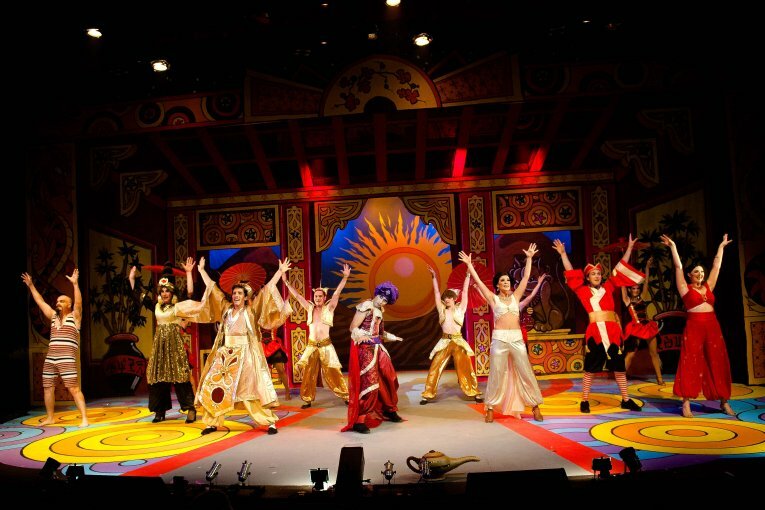 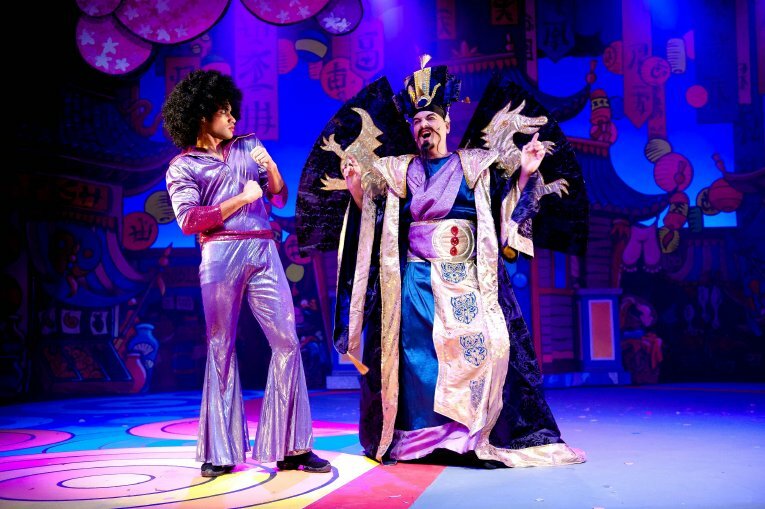 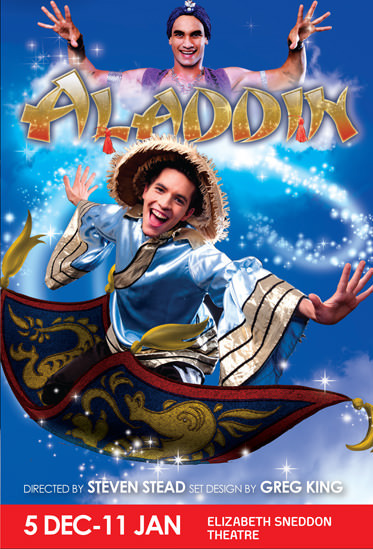 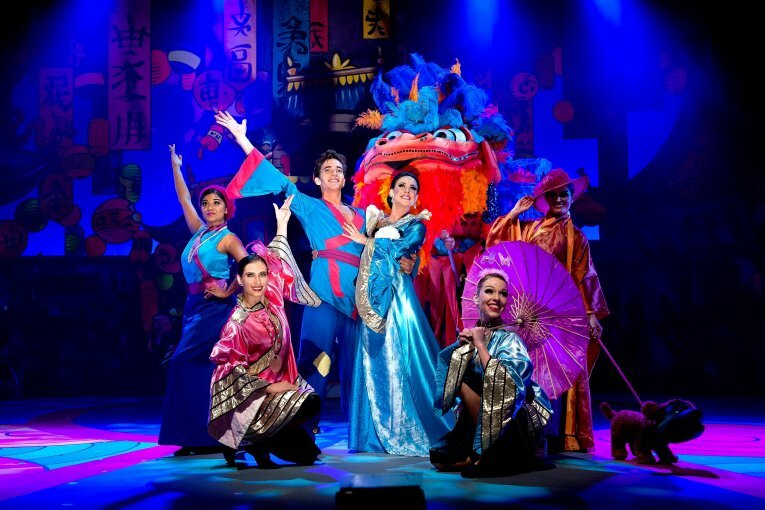 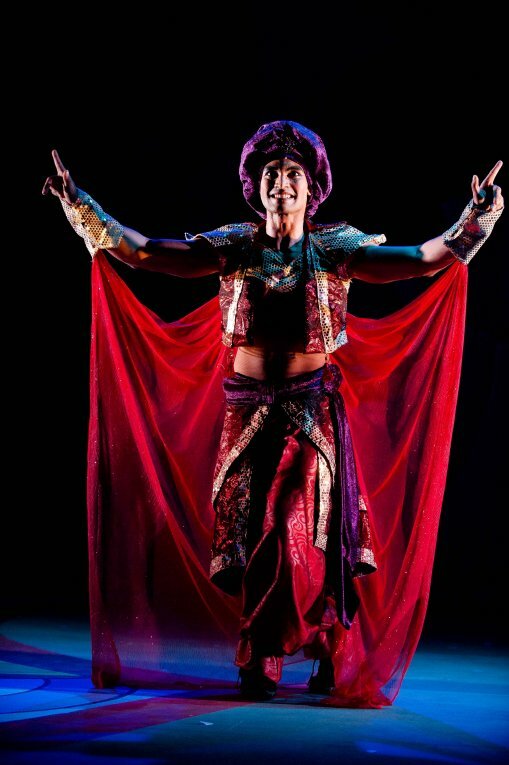 Featuring popular songs, jokes galore, glamorous costumes, and sumptuous sets ranging from a Cave of Wonders full of dancing jewels to a golden Chinese palace, Aladdin was an enchanting adventure for all ages., that played to capacity houses for the whole of its five week season. 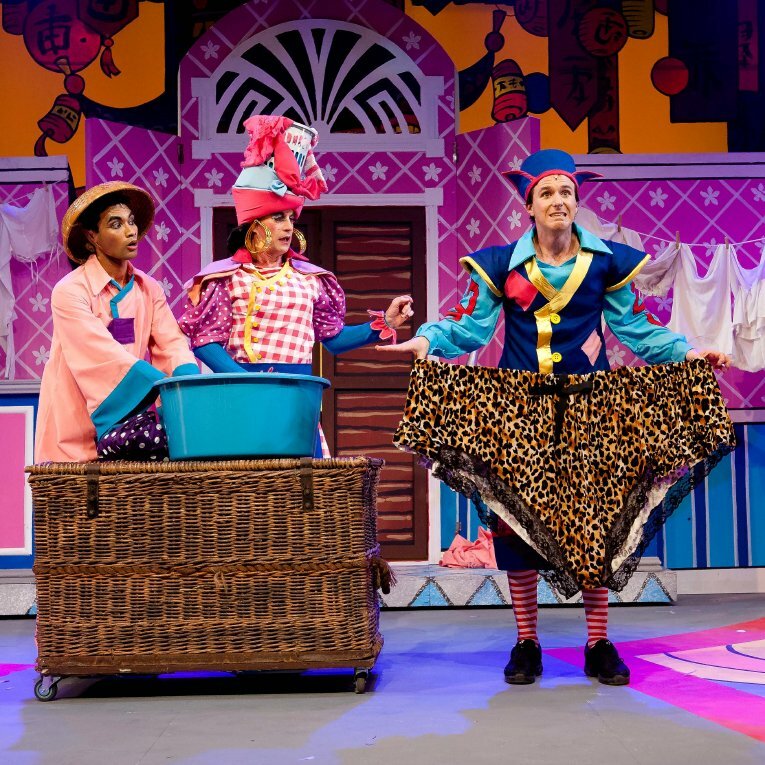 All is right, light and decidedly ultra-bright in this latest grand confection from Durban's chief production company, who have produced one of their most colourful shows to date. 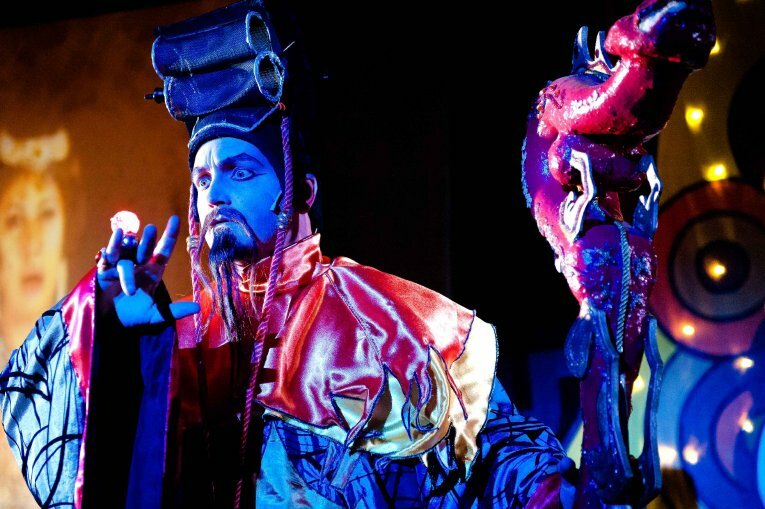 KickstArt has delivered another Festive Season cracker...a sumptuous feast for eyes and ears. 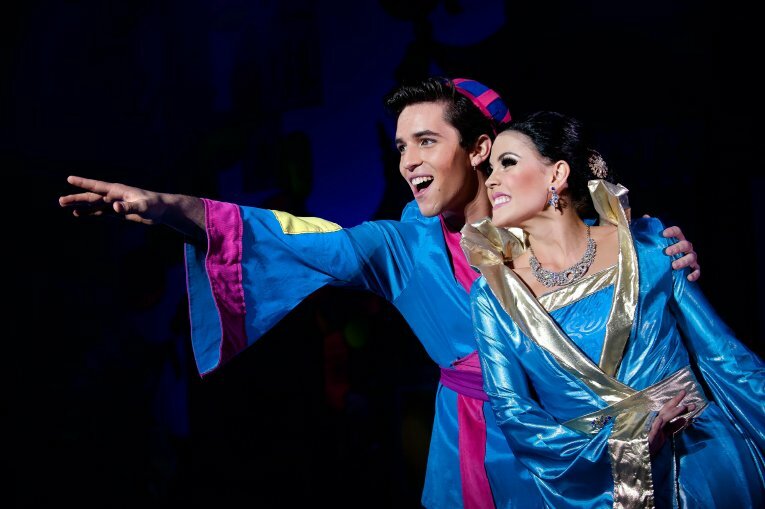 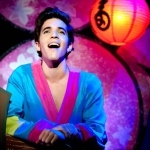 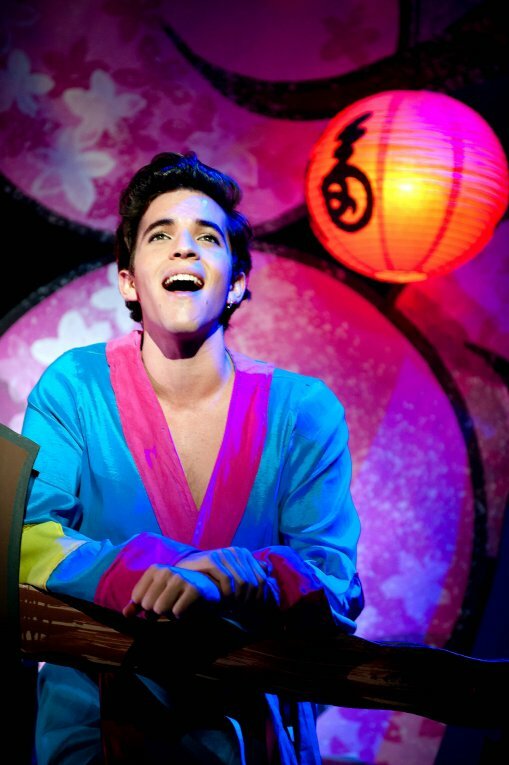 Aladdin is undeniably magical and visually spectacular. 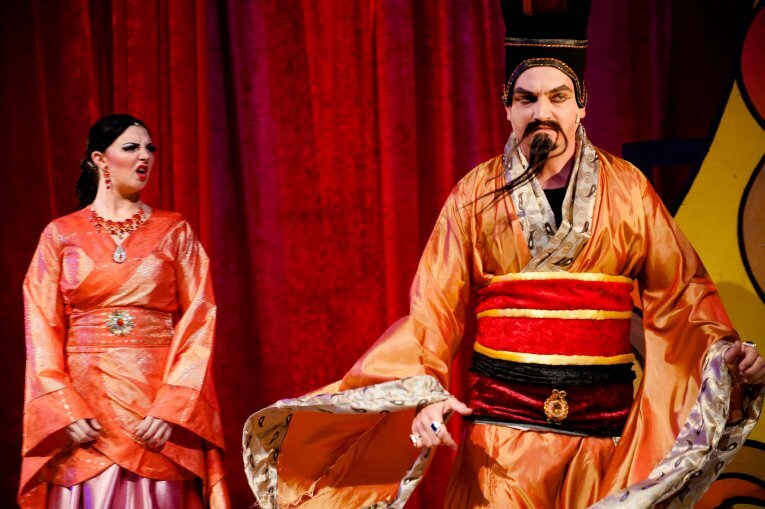 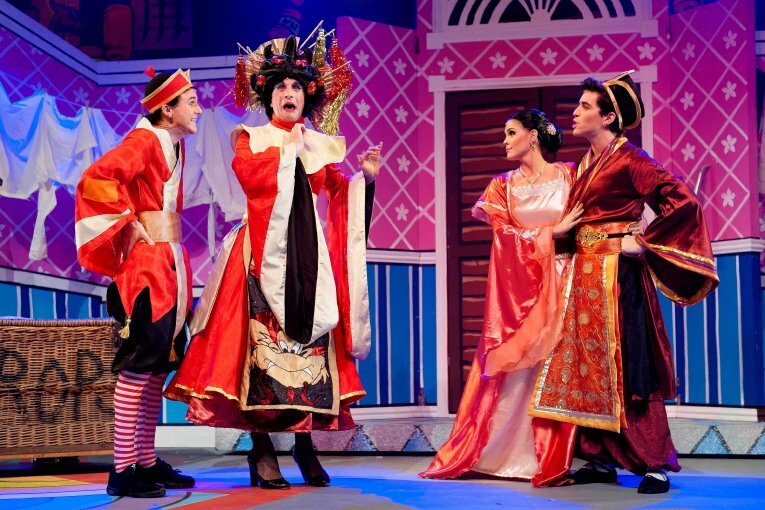 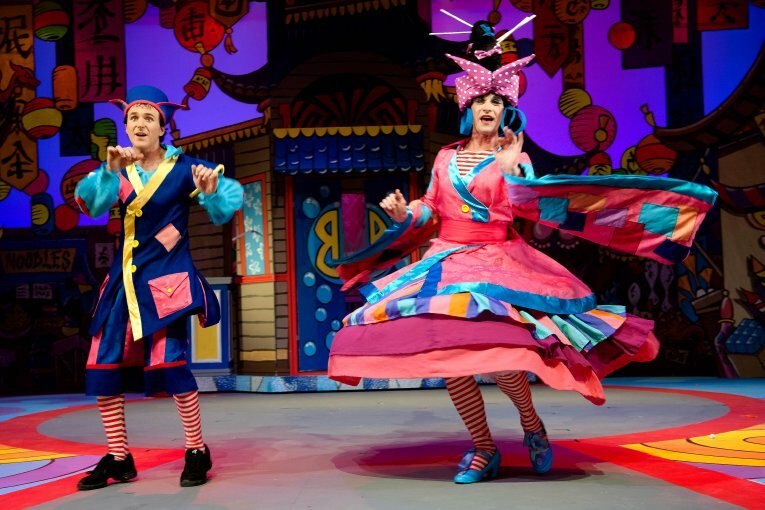 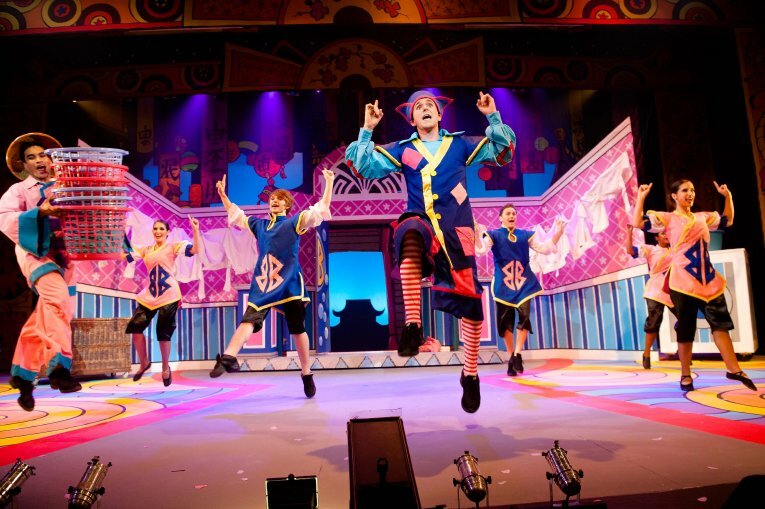 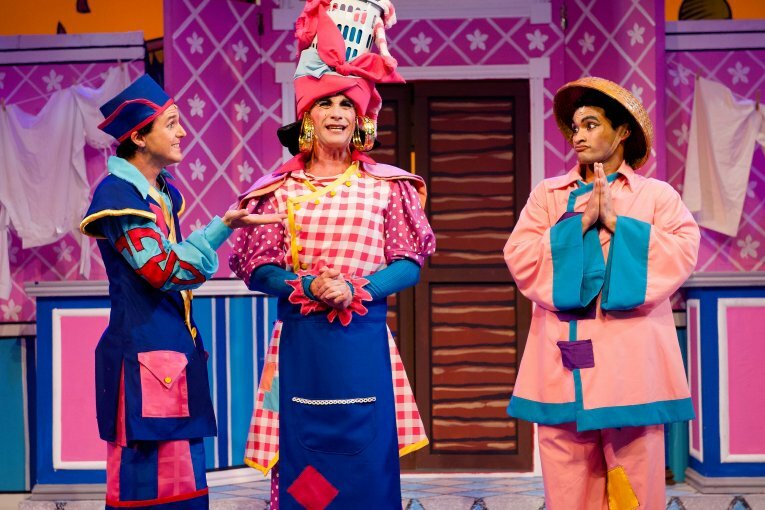 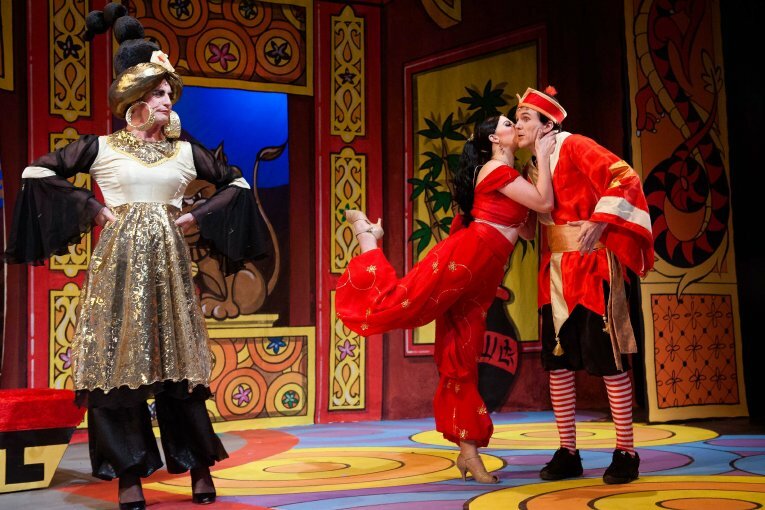 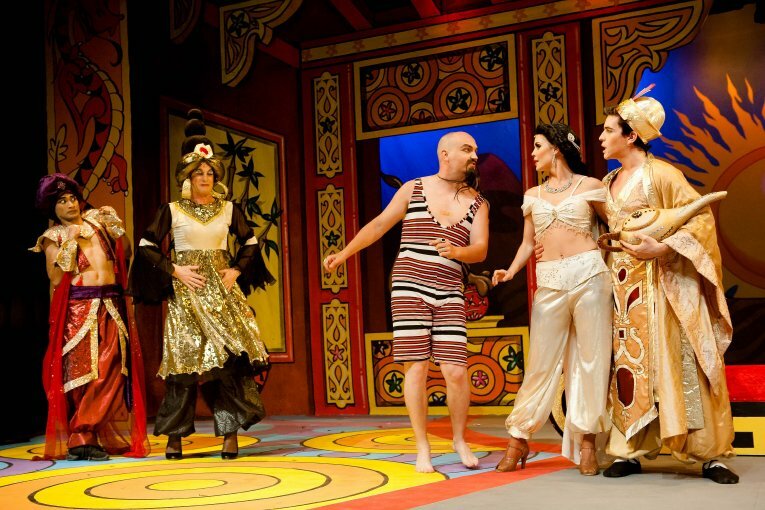 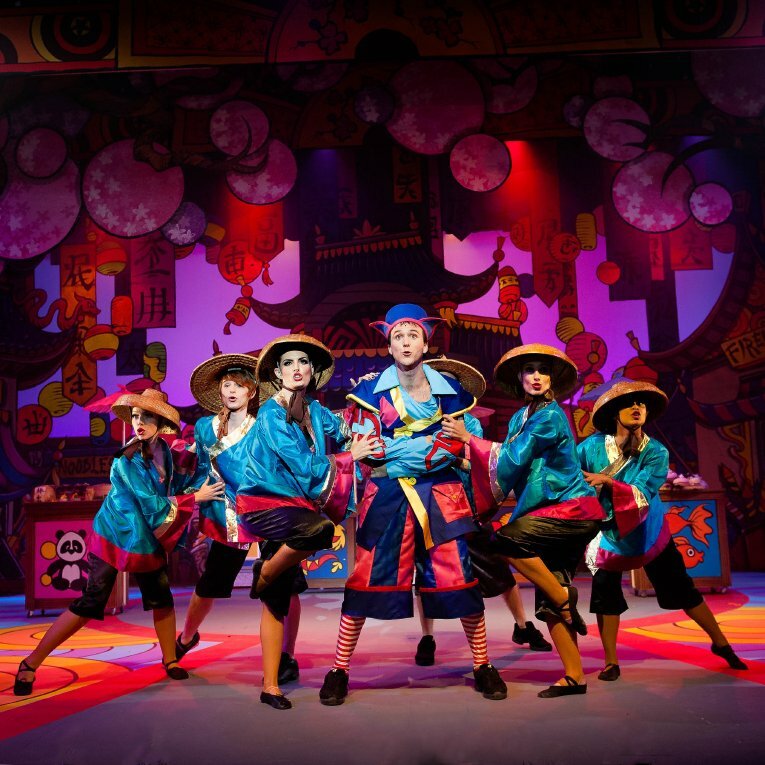 Pantomime offers a marvellous – and almost no-holds-barred process - for a creative crew. 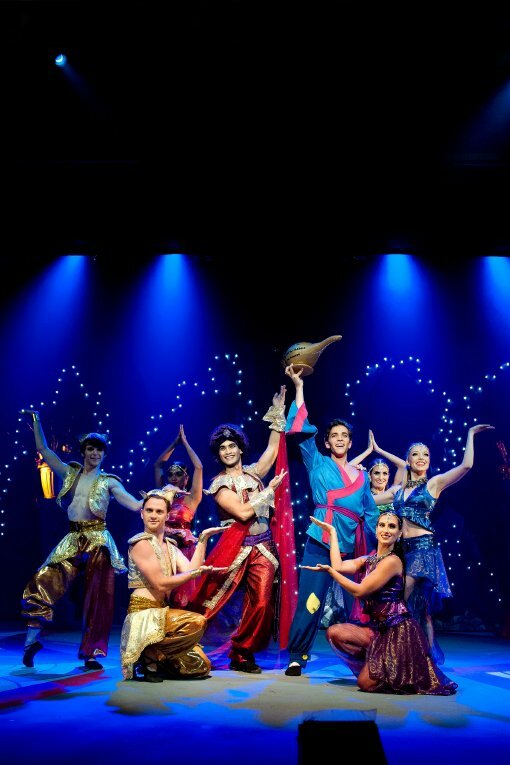 While the consistent flow of The Mercury Durban Theatre Awards every year indicates the company’s excellence, the production team under Stead’s direction have truly surpassed themselves this time! 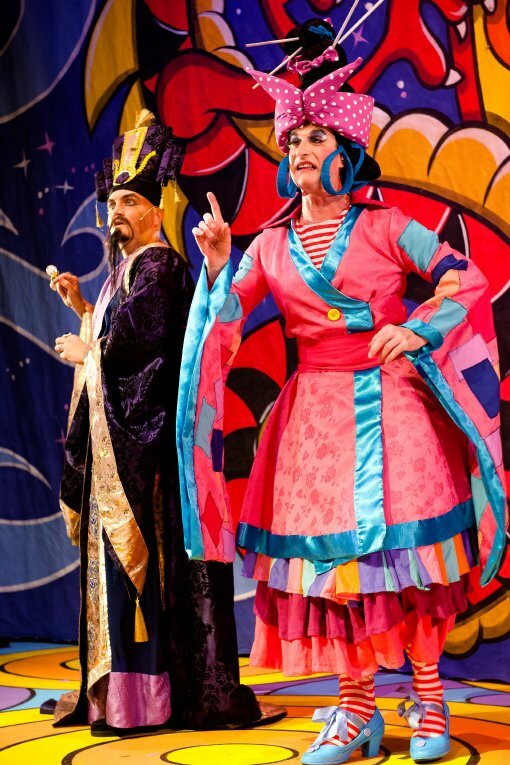 Click on a thumbnail to view a photo. 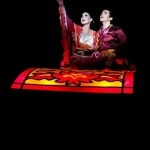 Click on a photo to view as a slideshow.